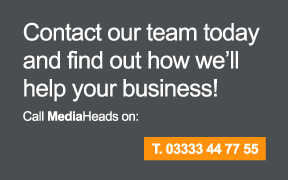 At MediaHeads we represent clients throughout the UK, delivering clear, effective, engaging content to a wide range of audiences and market sectors. Our passionate team developes creative, digital marketing strategies…unique to each business. Find out more about how we deliver, the results we achieve and who we’ve worked with. Examples of recent projects can be seen in our portfolio.